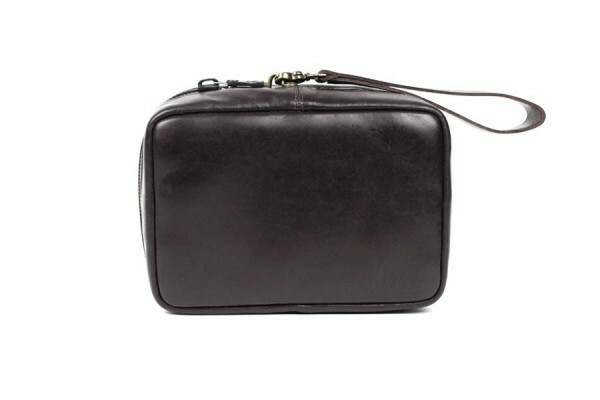 Gorgeous coffee colored genuine leather travel case featuring a TiZip® airtight zipper is perfect for someone on-the-go or for a nice getaway. The interior is modular and can be custom configured to allow for up to six 7.08g glass cups or four 14.17g glass cups. 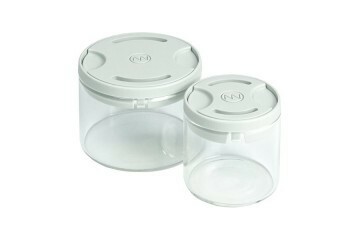 You can also fit up to two Miron® jars in this travel case and each Miron® jar can fit 28.34g. The interior top and bottom is lined with black leather. There is a mesh net pocket beside nylon velcro straps on the interior lid. 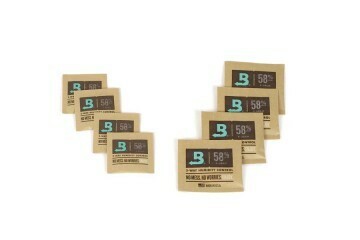 The straps are adjustable and allow for vapes to be secured. The bottom interior corner features a grinder station that will secure a grinder that has up to a 6.35cm diameter and 5.71cm height using nylon straps. This travel case comes with your choice of either two 7.08g or two 14.17g glass cups or neither and a TSA combination lock may be purchased optionally. Made of genuine leather using TiZip® zipper technology made in Germany. This travel case is made with pride by a family owned leather company in the Dominican Republic with over 100 years of doing business.